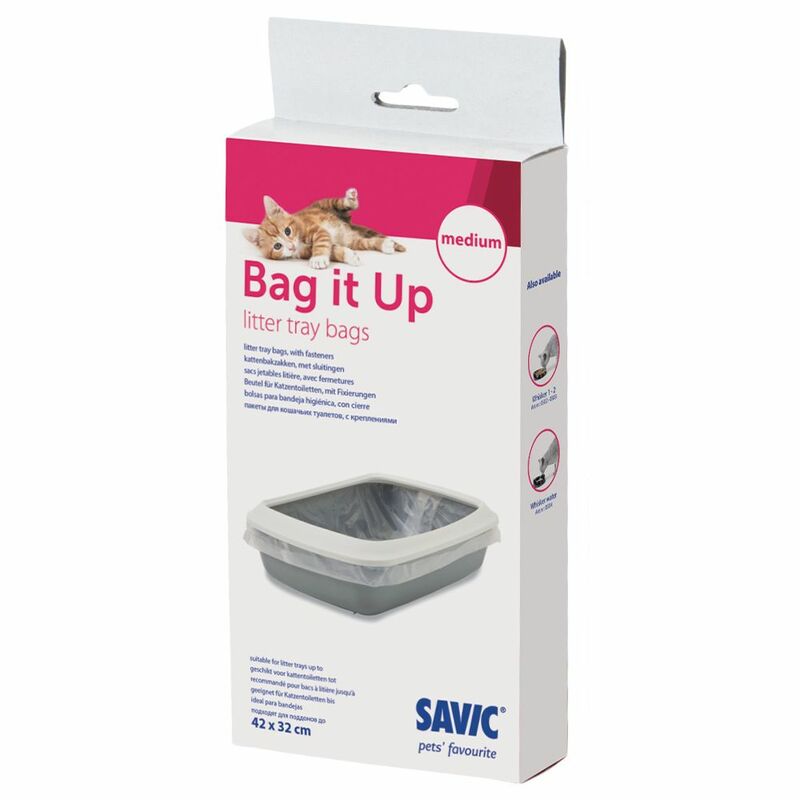 Cleaning your cat's litter tray will become a piece of cake with these Savic Bag it Up Litter Tray Bags. Simply lay the bag in the base of your cat's litter tray, fasten around the edges of the tray and fill with litter. To clean the tray, all you need to do is remove the bag and throw it away – easy! This helps to ensure that your cat's litter tray stays relatively clean and fresh! These tear resistant Savic Bag it Up Litter Tray Bags can also help to prevent urine residue from building up in the tray or inner walls of the litter tray, combating unpleasant odours. This helps to keep your cat's litter tray usable for longer, as well as providing the obvious benefits of making it simple and quick to clean! Savic Bag it Up Litter Tray Bags at a glance: Practical film bags for cat litter trays and boxes Extremely hygienic: prevents the build up of urine residue and avoids unpleasant odours Increases the life of your cat's litter tray as the inner walls are protective from acidic urine Quick and easy to clean the litter tray Universal: fits any number of cat litter trays up to the maximum size of bag Tear resistant Fresh and clean Material: polyethylene (PE) Colour: milky transparent Sizing chart for Savic Bag it Up Litter Tray Bags: Size Suitable for litter trays up to: Contents Medium 42 x 32 cm (L x W) 12 bags Large 50 x 36 cm (L x W) 12 bags Maxi 55 x 43 cm (L x W) 12 bags Jumbo 67 x 48 cm (L x W) 6 bags Hop In 58. 5 x 39 x 39.5 cm (L x W x H) 6 bags.